IN 2008, after nearly eight decades of production, the Bahrain Field was generally perceived as a declining and dying field, nearing the end of its productive life. 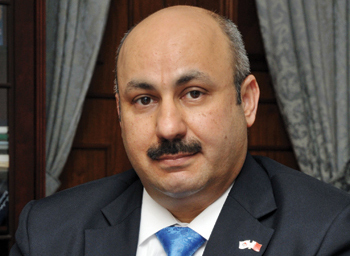 However, the success of new Enhanced Oil Recovery (EOR) techniques in similar oil fields prompted the National Oil and Gas Authority (noga) to initiate the Bahrain Field Development Project, which resulted in the establishment of Tatweer Petroleum in 2009. The biggest economic development was extracting around 16 million barrels of oil from the Bahrain field exceeding the 2014 budget by over 650,000 barrels generating a considerable wealth to the kingdom of Bahrain. On the other side, Tatweer Petroleum managed to deliver enough gas capacity to meet the kingdom’s demand for natural gas for power and industries and others which in turns generates wealth to the kingdom. With health, safety and environment as one of its core company values, Tatweer Petroleum strives to provide a safe workplace, committed to the protection of the environment. Campaigns, initiatives and bulletins are put in place every year to address adverse trends and safety risks. 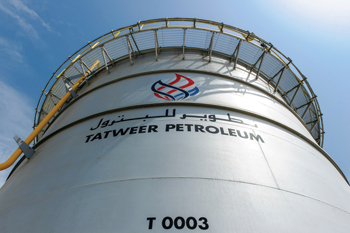 Most notably, the company revitalised the Near Miss Reporting System for Tatweer Petroleum employees, which is designed to empower staff to help find and mitigate risks of various severities in the workplace. Other safety awareness campaigns include heat stress, eye safety, hearing protection, hand safety and dropped objects. Tatweer Petroleum has been working closely in cooperation with the Southern Governorate, the Southern Area Municipality and all of the Bahrain Oil Field stakeholders to find new safer areas for campers to allow them to enjoy a non-industrial atmosphere. The current arrangement is not sustainable and conflicts with the strict health and safety requirements of the Development and Production Sharing Agreement (DPSA). With over 4,600 km worth of 2-inch – 36-inch pipelines in the Bahrain Oil Field and over 1,400 active oil wells, recreational activities in the field are unsafe, and the company maintains that the only solution is for new areas to be allocated for camping in order to preserve the safety of campers and continue the tradition of camping in Bahrain.